Belmont University President Dr. Bob Fisher. 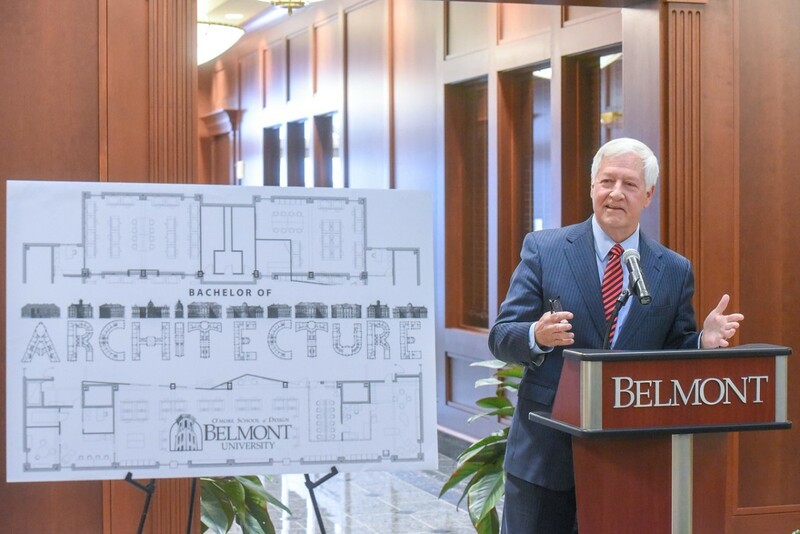 Proving again to be an innovator in higher education and further strengthening its position in design, Belmont University announced today plans to launch the first Bachelor of Architecture program in Middle Tennessee and only the second in the state. The five-year degree, which will begin classes in Fall 2020, will provide graduates a direct path to pursue licensure in their field while also filling a significant gap for architectural education in Nashville and the surrounding area. Moreover, following Belmont’s 2018 acquisition of the O’More College of Design, the University has the foundation in place to form a world-class program. Ranked No. 6 in the Regional Universities South category and consistently named as a “Most Innovative” university by U.S. News & World Report, Belmont University is home to more than 8,300 students who come from every state and more than 36 countries. Committed to being a leader among teaching universities, Belmont brings together the best of liberal arts and professional education in a Christian community of learning and service. The University’s purpose is to help students explore their passions and develop their talents to meet the world’s needs. With more than 90 areas of undergraduate study, more than 25 master’s programs and five doctoral degrees, there is no limit to the ways Belmont University can expand an individual&apos;s horizon. For more information, visit www.belmont.edu. 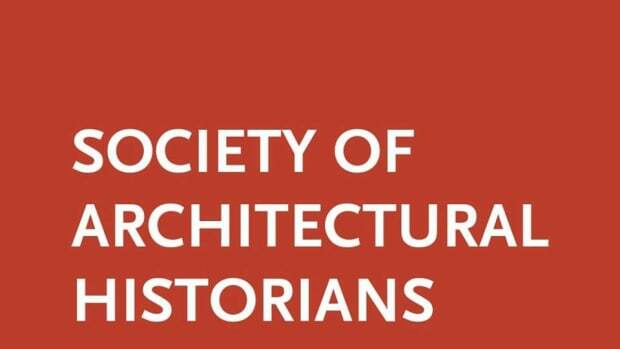 The Society of Architectural Historians announced its 2019 class of SAH Fellows. 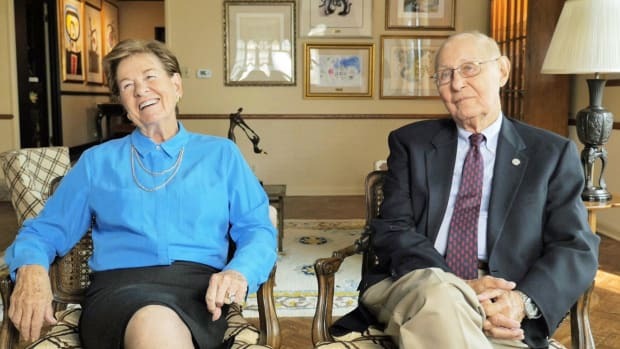 The school will be renamed the Sidney and Lois Eskenazi School of Art, Architecture + Design in recognition of the couple's generosity and longstanding commitment to IU and the arts. 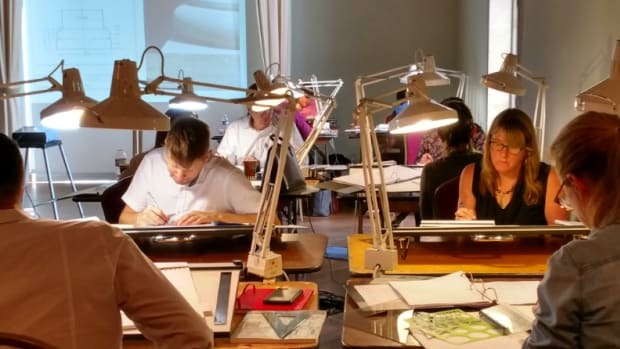 Join the ICAA during its Intensive in Classical Architecture in San Francisco September 15-22, 2019.